James Urban Ruppert, is an American murderer, who was responsible for the deadliest shooting inside a private residence in US history known as the "Easter Sunday Massacre". As an adult, Ruppert stood 5'6", 135 pounds, described as a modest and helpful man who was unremarkable and quiet. He had no police record. Ruppert was envious of his older brother's successful job and family. Ruppert flunked out of college after two years while his brother earned a degree in electrical engineering and excelled in athletics. Leonard Jr. had also married James' ex-girlfriend, had eight children, and held a job with General Electric, whereas James, at 41, was unemployed and was living with their 65-year-old mother, Charity, in Hamilton, Ohio. Charity was frustrated with James' inability to hold a steady job and his constant drinking; she threatened to evict him. 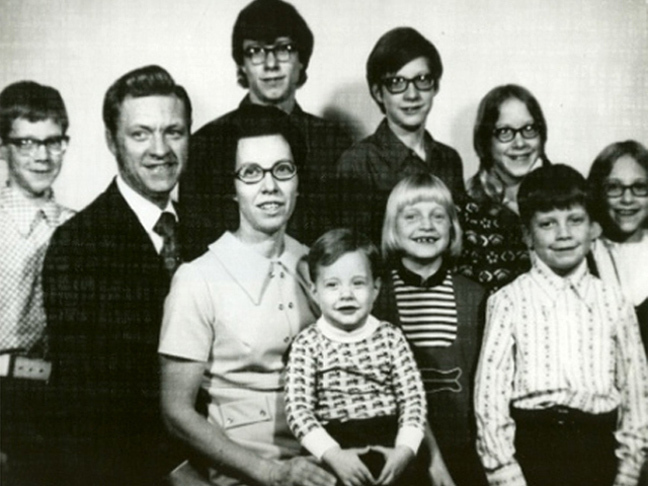 James also owed his mother and brother money, having lost what little he had in the stock market crash of 1973-4. A month before the massacre, James inquired about silencers for his weapons while purchasing ammunition. His behaviour in general became more unusual as he neared the breaking point, battling a deep depression. On March 29, 1975, his 41st birthday, witnesses had seen him engaging in target practice shooting tin cans with his .357 Magnum along the banks of the Great Miami River in Hamilton. The night before the murders James went out as he did nearly every night. At the 19th Hole Cocktail Lounge he talked with employee Wanda Bishop, a 28-year-old mother of 5. She would later state that James told her he was frustrated with his mother's demands on him and his impending eviction and that he needed to solve the problem. He left the bar at 11:00 PM that night and later returned. When Bishop asked him if he had solved the problem, he replied "No, not yet." 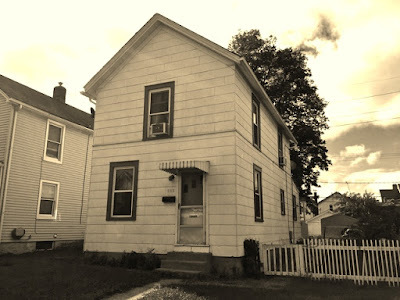 James stayed at the bar until it closed at 2:30 a.m.
On Easter Sunday, March 30, 1975, Ruppert's brother Leonard and his wife, Alma, brought their eight children (ranging in age from 4 to 17) to see their grandmother at the house on Minor Avenue. Ruppert stayed upstairs, sleeping off a night of drinking, while the other family members performed an Easter egg hunt on the front lawn. 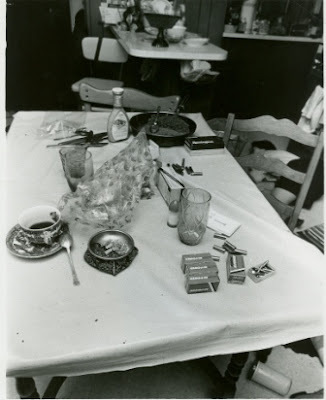 At one point, Charity was preparing lunch in the kitchen, in the company of Leonard Jr. and Alma. Most of the children were playing in the living room. The youngest child was in the bathroom, while one of his sisters waited her turn. The other children were playing in the living room. Charity was preparing food while her son and daughter-in-law sat at the kitchen table. At around 4:00 p.m, James woke up, loaded a .357 Magnum, two .22 caliber handguns, and a rifle, then went downstairs. Entering the kitchen, he first shot and killed his brother Leonard, then his sister-in-law and his mother. Next, he took the life of his nephew David and his nieces Teresa and Carol, all in the confines of the kitchen. Ruppert then proceeded to the living room, where he killed his niece Ann and his four remaining nephews: Leonard III, Michael, Thomas, and John. He did it methodically; investigators found that he usually fired at least twice, first a disabling shot into the body, then a kill shot in the brain or heart. He moved so quickly, in fact, that no one screamed or even came close to escaping; the only sign of a struggle was a single overturned wastepaper basket. One of the girls had managed to open the back door a crack, only to be gunned down before she made it out. The Butler County coroner theorized that Ruppert had shot some victims more than once to prevent anyone escaping. The massacre was over within five minutes. James spent three hours with the bodies before calling the police. "There's been a shooting here," he said simply, and waited just inside the front door for them to arrive. The murders shocked the town of Hamilton and the entire country. Those who knew James Ruppert did not think he was capable of violence, especially at the magnitude of this particular massacre. By all accounts, neighbours considered the Rupperts a nice family. "We can't seem to find a motive for this", Hamilton Police Chief George McNally said the next day. One neighbour recalled a story that Charity Ruppert had told about her two sons, who were 10 and 12 at the time their father died. "She said her kids were never allowed to be children," the neighbour said. "They were always men of the house because their father died at an early age. They were very responsible." Though Ruppert was a gun collector and an accomplished marksman, he didn't strike anyone who knew him as the homicidal type; he was generally remembered as quiet, modest, and helpful, a small, nebbishy, unremarkable guy. James was arrested and charged that day with 11 counts of aggravated homicide. He refused to answer questions asked by the police and was very uncooperative. He made it clear he would plead insanity. 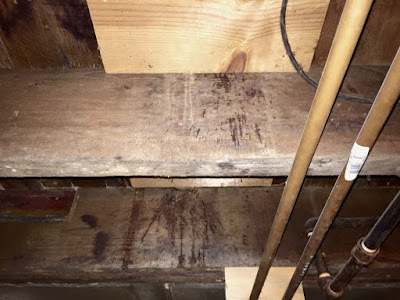 County prosecutor John Holcomb viewed the crime scene and stated that there was so much blood on the first floor, it was dripping through the floorboards into the basement, which to this day can still be seen on the wood. Ruppert had fired a total of 35 rounds, and all four weapons were recovered at the scene. All 11 victims were buried in Arlington Memorial Gardens at 2145 Compton Rd Cincinnati, Ohio. A year later, the house was opened to the public and all of its contents were auctioned off. It was then cleaned, recarpeted, and rented to a family new to the area, whose members were unaware of the murders that had taken place there. The new family later left the house, claiming they were hearing voices and other unexplained noises. Other families have moved in and out, and the house is still occupied. The original trial was held in Hamilton, Ohio. The three-judge panel found Ruppert guilty on 11 counts of murder and sentenced him to life in prison. A mistrial was declared and it was decided that the retrial would be held in Findlay, Ohio, 125 miles north, because it was believed he could not receive a fair trial in the city of Hamilton. The second trial began in June 1975 and prosecutors revealed evidence involving the witnesses who had seen Ruppert engaging in target practice, asking about silencers for his gun collection and admitting that his mother's expectations were a problem that he needed to solve. In July 1975 Ruppert received 11 consecutive life sentences. 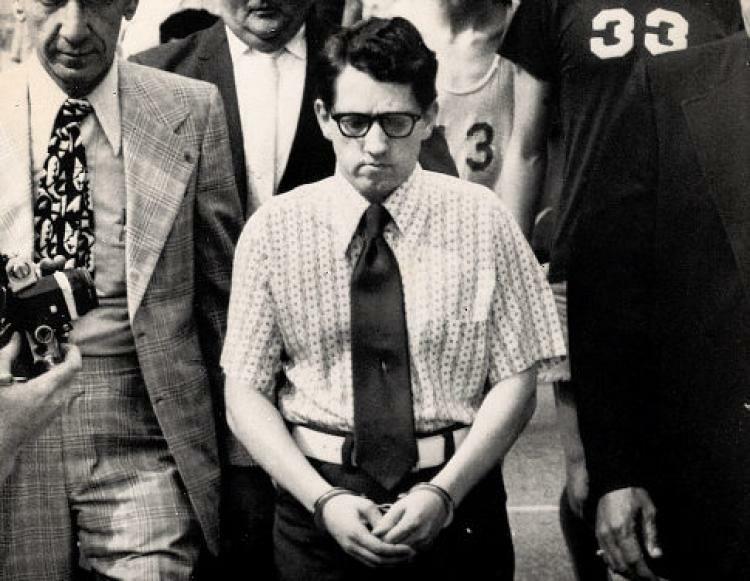 The trial revealed all of his personal details and also that by March 30, 1975, his mother was preparing to evict him, and he was convinced that his brother had been sabotaging his only car. That day his paranoid persecution complex reached its boiling point. He would plead not guilty by reason of insanity. 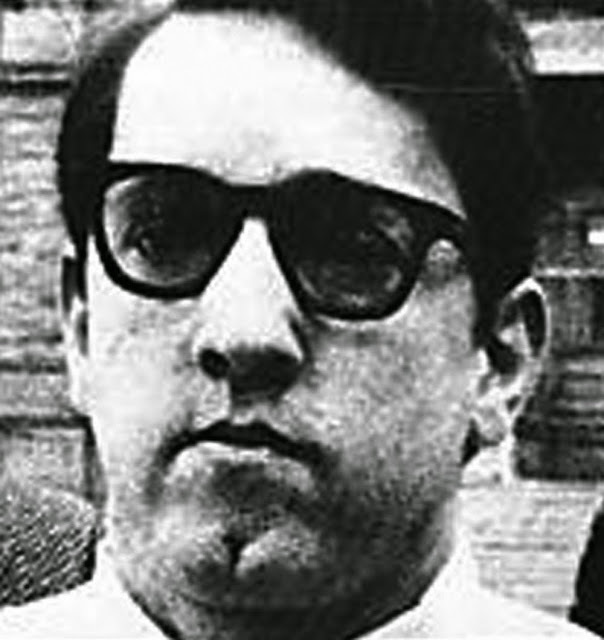 On appeal, a new trial was granted in 1982. Defense attorney Hugh D. Holbrock, convinced his client was insane, personally funded the hiring of expert psychiatrists and psychologists from all over the country. In the course of his trial the prosecution revealed that he stood to inherit his victims' insurance policies, life savings, and property if found not guilty for any reason, the insanity plea was rejected. 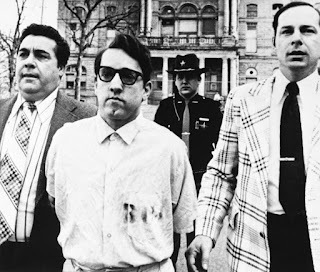 On July 23, 1982, a three-judge panel found him guilty of first-degree murder in the case of his mother and brother, but not guilty by reason of insanity on the other nine counts. He received dual life sentences, to be served consecutively. James Ruppert remains incarcerated in the Allen Oakwood Correctional Institution in Lima, Ohio. In June 1995, he was granted a visit before the state Parole Board at the age of 61, but his release was denied. He would not receive another hearing until April 2015, which was again denied. 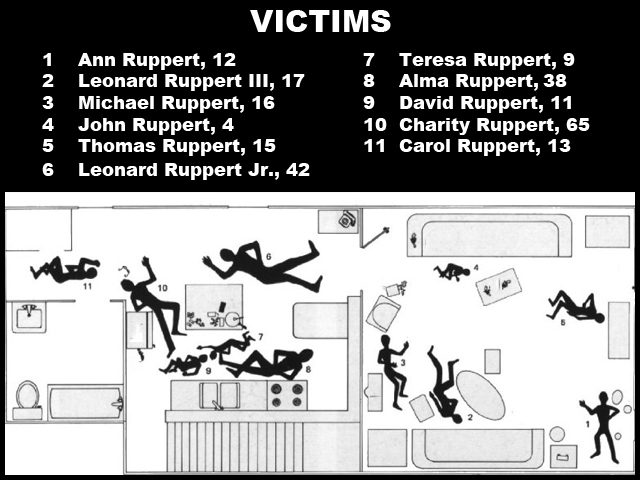 After the Virginia Tech shooting on April 16, 2007 became the deadliest mass shooting in American history, Ruppert's murderous spree dropped to the 9th deadliest massacre in U.S. history. 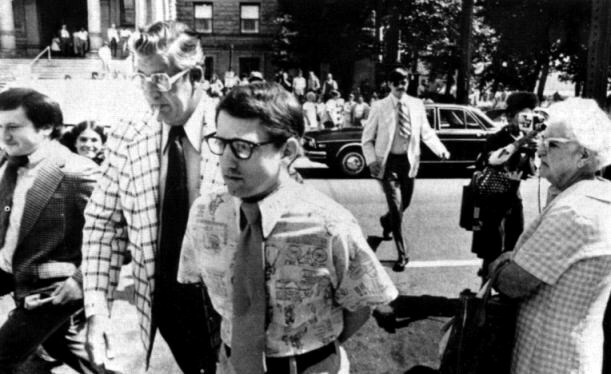 Though confined in a mental hospital since the trial, James Ruppert has an extensive wardrobe, loves to eat ice cream, and continues to receive the Wall Street journal on a daily basis. No one but James Ruppert himself would ever know exactly what possessed him to methodically gun down every member of his immediate family that day.